Indian Americans of New Jersey Award, the 2011 South Asian Americans Leading Together (SAALT) Changemaker Award, the 2003 Leadership Award from the NJ Asian American Association for Human Services, and the 2002 National Multicultural Outreach Award from NAMI. She has served on the NAMI Diversity & Inclusion Workgroup and the National Institute of Mental health (NIMH) Outreach Partner Steering Committee. She makes frequent presentations on mental health to community and professional groups. As the proud mother of a queer and transgender child, Aruna is passionate about advancing LGBTQ+ rights. She recognizes the urgent need for family acceptance of LGBTQ+ people in API and South Asian communities and is dedicated to creating a loving, inclusive world where LGBTQ+ people are welcomed into community spaces. 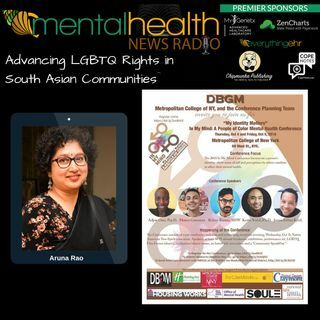 Aruna serves on the steering committee of API Rainbow Parents of PFLAG NYC, and is the founder of Desi Rainbow Parents & Allies, a group developed to support South Asian parents of LGBTQ+ children. She speaks about family acceptance in community and professional settings and has been featured on podcasts and in newspaper articles.